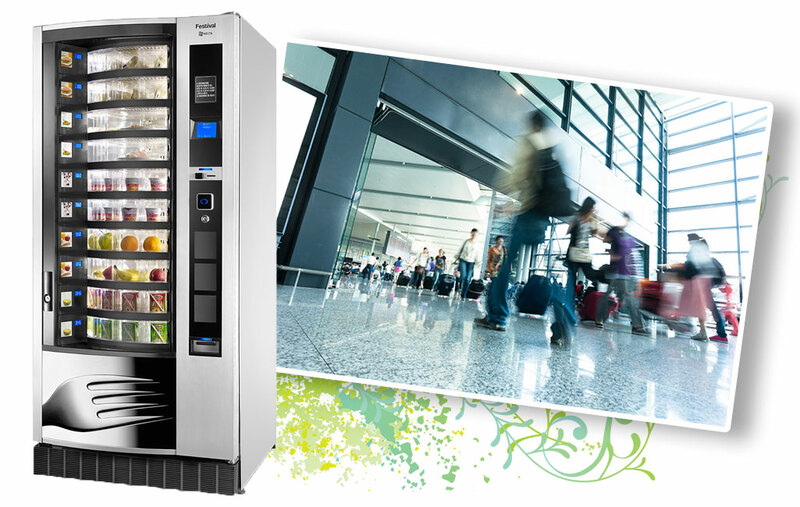 The Festival is the perfect solution for providing chilled food, snacks, sandwiches, fresh fruit, cold drinks, yogurts and treats. The Festival is a simple and flexible machine that can adapt to any requirements. It’s easily refilled, simple to programme, and quick to clean. It has a unique health and hygiene feature that automatically prevents food from being vended should the temperature of the machine rise above a certain value. The Festival is available as an 8 or 10 drum model and is flexible enough to vend practically any food item including plated meals, baguettes and salads. Prices are easy to set, and are displayed electronically, enhancing the overall style of the machine. It has user friendly simple selection buttons with automatic compartment sliders so items can be removed using just one hand.